teacher assaulted at Wings last month by students. anyone have info ? Unity and Mulgrew, corrupt, corrupt, corrupt! Can we attempt to be constructive? If all we do is tear down our union leaders, we will not have the energy and solidarity to fight the real enemies. 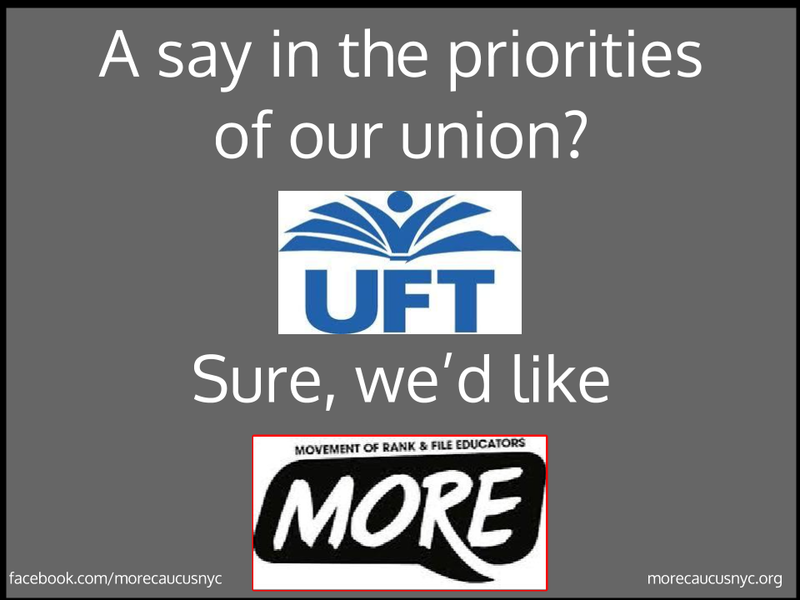 Unity’s undemocratic rule extends to censorship of NEW YORK TEACHER and the so-called OPEN MIKE at the start if bi-weekly Executive Committee meetings. In the good old days anybody could speak at any meeting. But now nobody can speak more than once a term. What is Mulgrew afraid of–except dissent?